A McKinney brewmaster says the president's beer summit is rich in German tradition. The White House Beer Summit may have done little to address our long national hangover on race relations, but talking things out over a lager is rooted in tradition for politicians -- in Deutschland. ”After one or two beers, everything speaks easier,” said Dennis Wehrmann, a German-born, fourth-generation brewmaster in North Texas. Wehrmann’s Franconia Brewing Company in McKinney has only been in business 17 months, but it continues a long family tradition that began in the 1800s by Wehrmann’s great-great-grandfather. Growing up in the business of beer makes, Wehrmann knows about power of a frothy beverage and the art of diplomacy. “The truth comes out if you have one or two beers,” he said, chuckling. Wehrmann said President Barack Obama’s beer summit might just work, as a keg is often a catalyst to diplomacy in his native country. Which of Franconia’s three choices of lager would Wehrmann serve at the White House? “If they stick to the lighter beer, it will probably -- more, more results will come out of it, as if they would drink heavy beer, because it probably would knock them out much faster," he said. 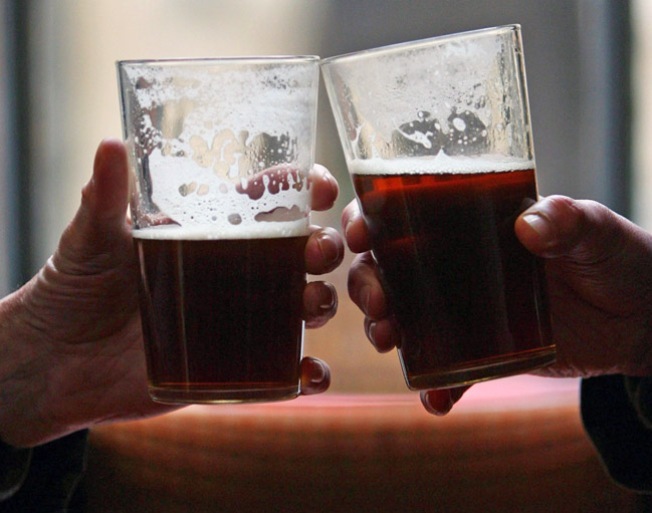 At the very least, enjoying a beer together gives men an opportunity to let their guard down a bit and just talk instead of yelling at each other, Wehrmann said. And we call all drink to that.